The first eco-friendly A320 Neo built by European aircraft major Airbus landed at the Indira Gandhi International Airport in New Delhi today, and was delivered to IndiGo. IndiGo is the first airline among Asian airlines to have the latest aircraft from Airbus. The delivery of the eco-friendly Airbus 320 a new engine option planes to IndiGo, which is the largest customer of Airbus aircraft in India, was to be commenced from December last year but technical issues at that time forced a postponement. The delivery of the first brand new A320 Neo reaffirms IndiGo's commitment to the long term future of aviation in India. This marks the beginning of the next phase of our growth and will enable us to make air transportation far more accessible for the people of India, IndiGo president Aditya Ghosh said in a statement. The A320 Neo fleet will set a benchmark by significantly reducing the impact on environment and lead the way to a more sustainable mode of flying, he said. 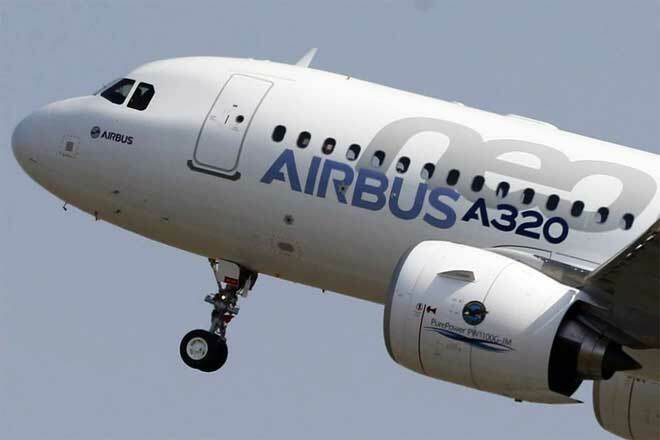 Airbus claims the new aircraft is 15% more fuel efficient than the exiting versions of A320.